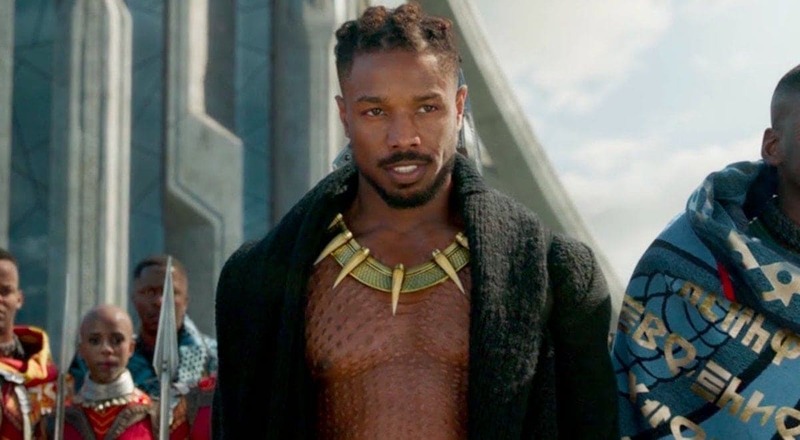 Earlier this year, fans all over the globe were introduced Erik Killmonger, the sympathetic villain in Black Panther. Now, there’s an upcoming series in the works based on the character brought to life by Michael B. Jordan. The comic book mini-series will be written by Bryan Edward Hill with Juan Ferreyra serving as the lead artist and will reportedly chronicle the tale of a Wakandan who was exiled to the United States. Just like in the blockbuster film, over time, he becomes consumed by his bitterness, eventually evolving into a super-villain. Monday, in an interview with Vulture, Hill opened up about how Black Panther inspired the new series. “With Erik, I feel like it’s really a tragedy. It’s a story of a guy who was failed a lot by Wakanda in certain ways, by the people he met outside of Wakanda, by his own conscience in other ways, and I wanted to paint a portrait of that,” he said. “To me the iconic fight between Erik Killmonger and T’Challa is tragic. It’s something that shouldn’t happen. It’s a conflict that’s born from a tragic misunderstanding and a young man who was violently taken from his home,” he explained. “Hopefully readers will get to see new dimensions of the character, and the story will take them into pretty unexpected places,” he added. Killmonger is slated to be released sometime in December 2018.